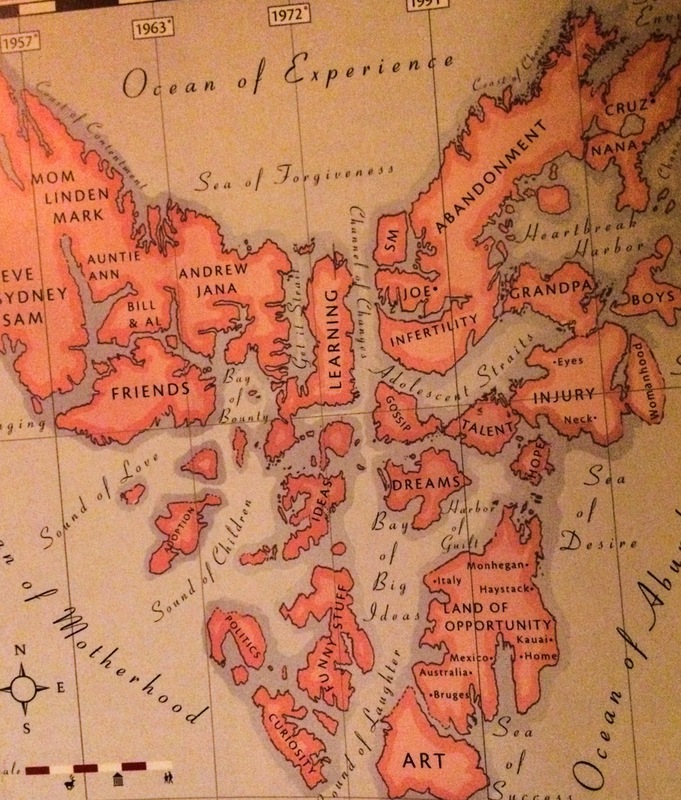 As a writer and artist, I see maps in many ways, as canvases, as metaphors, as information. 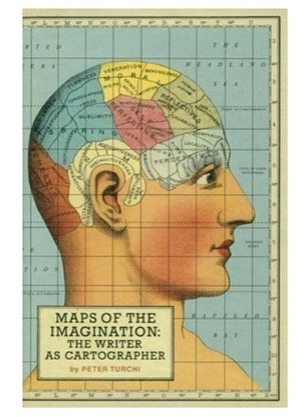 I love this quote from Peter Turchi’s Maps of The Imagination: The Writer as Cartographer. I considered that paragraph through the lens of adoption. In adoption, we tend to create our own maps, and they often are missing significant signage, exact locations, and detailed directions. Our maps often change a lot over time, from what we thought we knew to be true when the journey began, to what we later see through different eyes, with new information, with deeper understanding. There are all sorts of roadblocks, dead ends, surprises, unexpected twists and turns. Maybe if we don’t have a map, we can create our own. 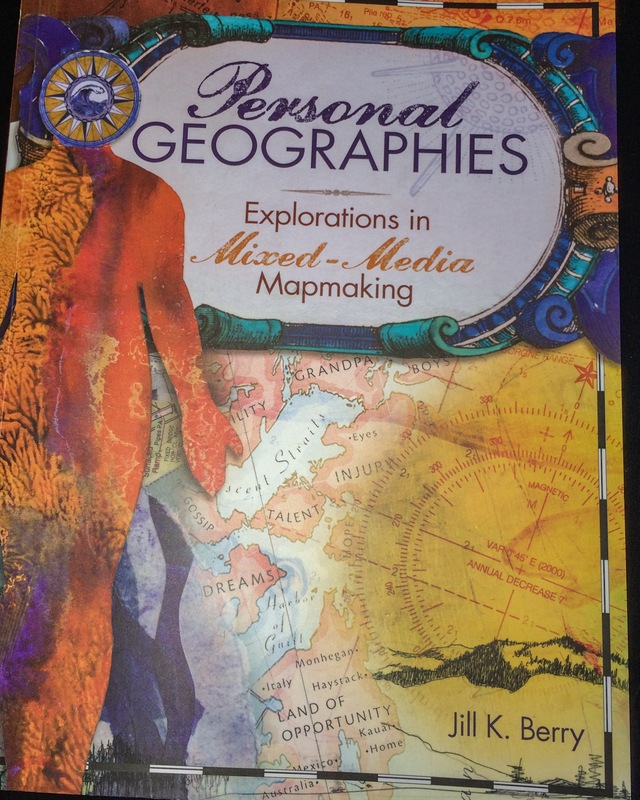 In addition to Peter Turchi’s Maps of the Imagination, I also highly recommend Jill K. Berry’s book Personal Geographies: Explorations in Mixed Media Mapmaking. Neither book is specifically about adoption. I’m drawing (literally and figuratively) from both books in considering ways that adoptees, first mothers, and anyone with “missing pieces” in their family history can draw a new map, whether real or imagined, with the information they have at hand. In so doing, perhaps a new measure of healing can occur. I think of my daughters, and how they might create a map from the small Ethiopian village where they spent the first 5 years of life, drawing an arrow then about 200 kms north to Addis for several months, then to Bole airport, to Rome, to New York City, to Washington, DC, to Maryland. Those last 5 locations all were visited in one day. That map would show an astonishing, life-changing journey. Imagine experiencing it through the eyes of a 6-year-old. Imagine contemplating it through the eyes of a 25-year-old. I think of adult adoptee friends who traveled to the US from Korea as children, and genuinely have no idea where they were for years of their lives prior to arrival here. The map is blank. But their lives did not start upon arrival in America. Perhaps the creation of a new map could help clarify feelings, could consider possibilities in a healing, calm way. I think of birth mothers who can draw a map of pregnancy and delivery, but then the path goes dark. Their child’s travel continues, but the first mother is no longer part of that journey. Imagine the possibilities of creating a map that the two could share, showing where they’ve been and what they’ve seen in the intervening years. One of the “innovative approaches” I will share include maps, and ways to create and re-imagine them through art, filling in some blanks, or at least re-framing them, with the goal mostly of moving toward healing. This entry was posted in adoptee art, adoptees, adoption art, Adoption Life Books, adoption stories, Personal Geographies Jill Berry, Personal histories and tagged adoption healing, adoptive parents, birth/first parents, maps, Miles Harvey, Peter Turchi by Light Of Day Stories. Bookmark the permalink. I love this idea! It could work for anyone in need of healing. Or even people who don’t. I agree. And I think everyone can use some healing from time to time. Even if it’s not done during a crisis, these sorts of projects can help us see things differently, and get a new perspective. Wow. This is truly wonderful. I think I might make one for each of my children. Thanks! Thanks so much. I would love to hear about what kind of maps you create with your children.